A Great Green Day in Perthshire! 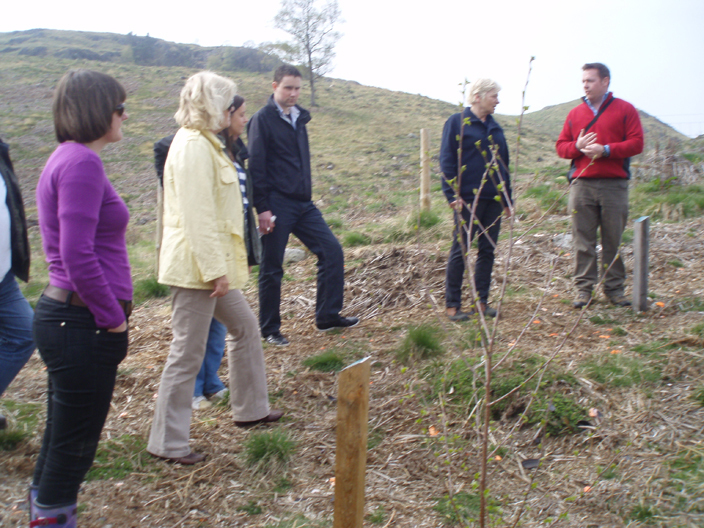 Before the Easter break we had a fantastic trip to Perthshire with some of our lovely suppliers from around Scotland. Here’s how the day went, what we all learnt and what it means for our clients…. This Green Engagement Day was a chance to get an intimate group of some of our suppliers together for some bonding over tree planting and some green brainstorming and idea sharing. 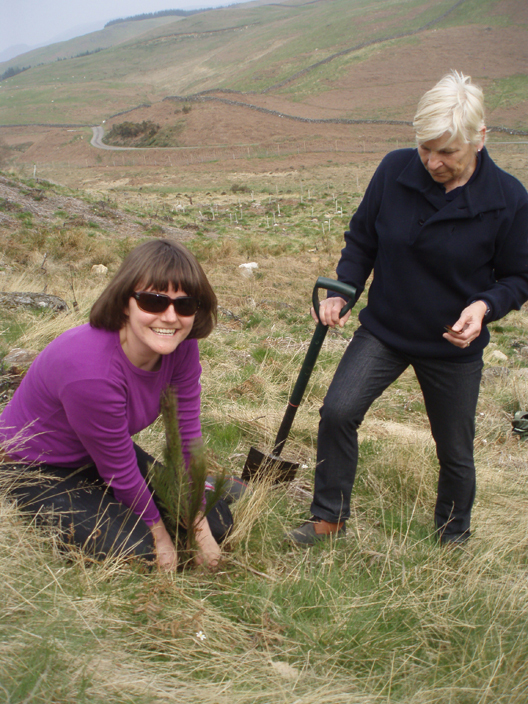 Back in November we pledged to plant trees for World Responsible Tourism Day, in response to an e-campaign were we asked clients and suppliers to send us images of their green / charity / responsible efforts in their local environment. We arrived at Comrie in Perthshire and were met by Angus from Trees4Scotland (http://www.trees4scotland.com) who lead the first part of our day. Angus spent time explaining about their current project, Teaghlach Wood and it’s importance in the bid to improve Scotland’s tree coverage – we currently have one of the lowest tree densities in Europe! 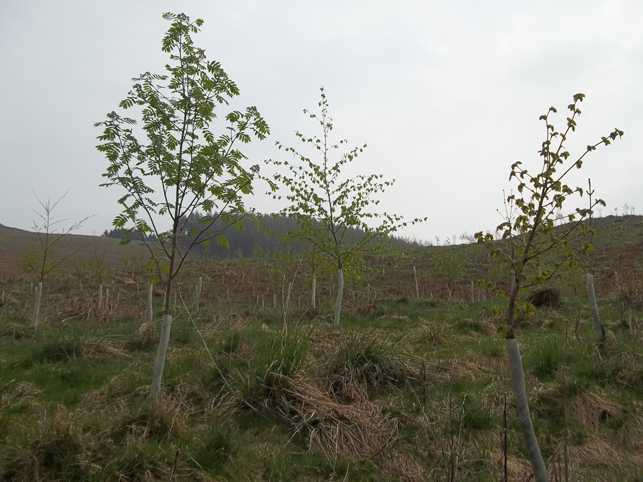 Throughout the Wood you can see tree varieties that are native to Scotland, such as oak, birch, willow and rowan, all at various stages of growth. 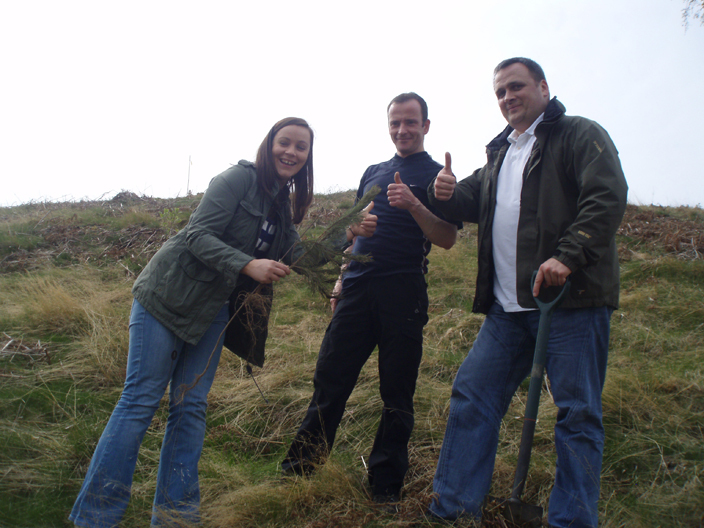 Then it was time to get stuck in and plant our own trees for our World Responsible Tourism Day pledge! 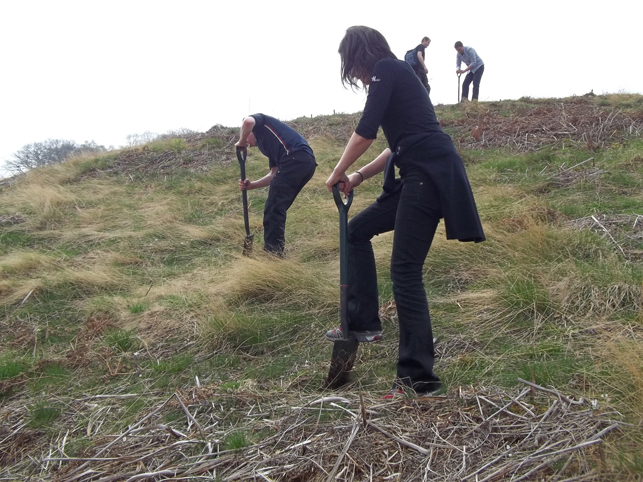 Everyone in the group got stuck in and I think it’s fair to say that the team from the Radisson Blu in Edinburgh made it their mission to plant as many as possible! 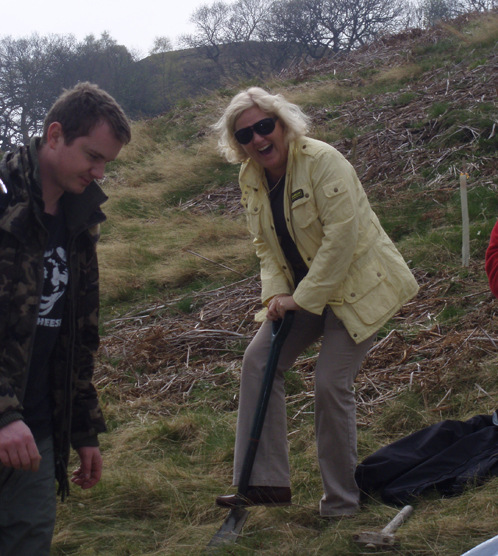 It was a relaxed activity where the entire group got to know one another, whilst discussing broader green tourism issues and having a good laugh at each other’s spade skills! After working up an appetite planting approx 40 trees, we made the short journey to Glenturret Distillery for lunch and I think everyone would agree on how delicious the meal was. Chef Steve made a personal appearance at the end of lunch to talk to us about how he sources food locally and reduces waste in the kitchen. With 2 chef’s in our group it was great to get them chatting together and seeing the agreement they have on issues such as the wonderful variety of Scottish food that’s available on our doorsteps! This kick started our discussions for the rest of the afternoon with Claire giving a brief overview of the Lean Management processes and savings Hello Scotland have been working to achieve over the past number of years, followed by an interesting conversation about energy efficiency, waste management and cost savings. This is all great news for us and our supplier partners who can benefit from the advice and discussions from the day, but how does it impact upon on clients and visitors to Scotland? 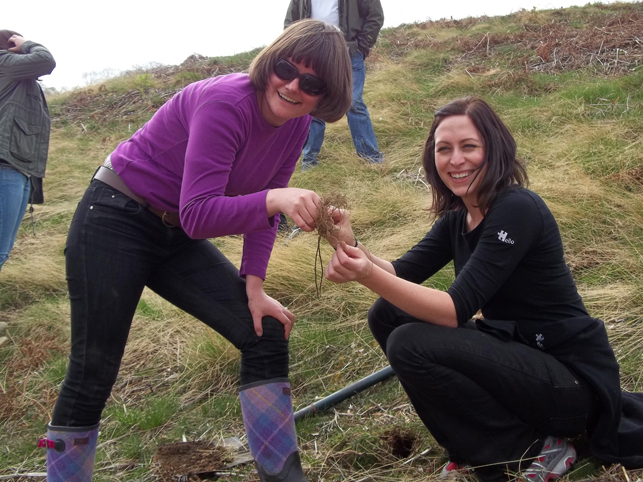 What does green tourism in Scotland mean for them?